The white form is preset to search for SUV and crossover vehicles in the 'Krakow - Airport' rental office. Address: Krakow Airport - Balice 1, Krakow, 32-083, Poland. 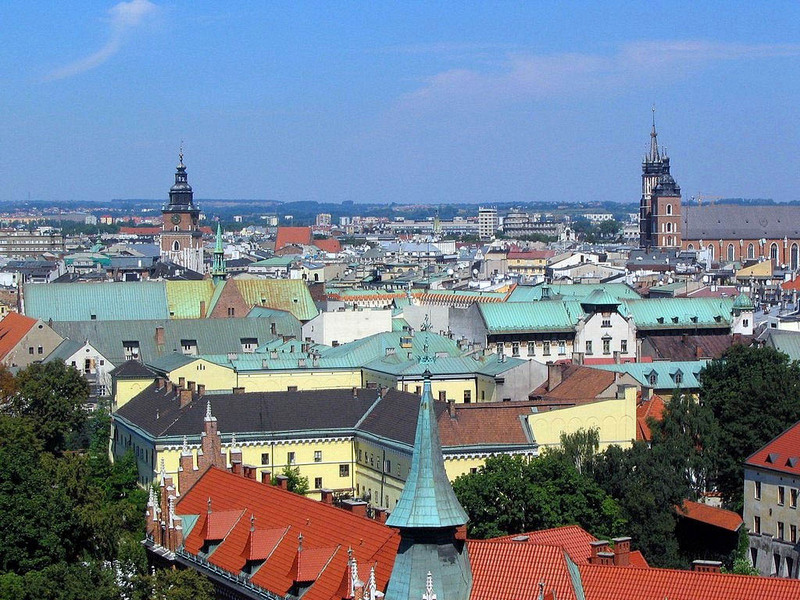 In Krakow, we offer vehicles at 10 different rental locations (see the links below). Normally, the best SUV rental offers in Poland are provided by offices located in airports and train stations. We recommend the following principle for selection of an off-road model for trips in Poland: if your planned routes are mainly within a city borders – a small crossover, while if the routes go through countryside or mountain regions – a large and powerful off-road 4x4 car. The most popular SUV models offered at rental locations in Krakow are: BMW X3, BMW X5, Toyota Rav4, Hyundai Santa Fe, Kia Sportage, Daihatsu Terios and others. While selecting your preferred model of an off-road vehicle, please examine the rental conditions. In particular, those requirements that concern credit cards – when it comes to renting an expensive car, sometimes offices in Poland ask information about two credit cards. If you plan to use an off-road vehicle in the mountains, it is recommended to order snow chains. This will save you from unexpected incidents. Other important equipment in Poland are mandatory child seats for travellers with children. OrangeSmile.com wishes you a safe trip and green lights on the roads of Krakow! Drivers are allowed to use fog light only when the visibility on the road is less than 50 meters. While moving, you need to monitor carefully weather conditions, and as soon as the visibility improves, the fog lights must be turned off. By the way, in poor visibility conditions drivers are recommended to accompany overtaking with a short beep. When the car is moving, the driver and all the passengers must have seat belts fastened. Drivers are also recommended to have a warning triangle and a fire extinguisher in the car. Foreign drivers, who are going to travel on the roads of Poland in a private car, should not forget to attach the sign of the country where the vehicle is registered. Otherwise, using the vehicle is considered unacceptable. If water attractions sound more appealing for you, it’s time to head to Krakow Aqua Park (Park Wondy). It’s the largest aqua park in Poland, and it’s hard to find such a wide choice of slides and attractions in any other city in the country. There are several wonderful swimming pools for children of all ages, a sauna, and a Jacuzzi area. Children will be excited to try the climbing wall and wild rivers. There are special entertainments for preschool age children, such as a shallow swimming pool and interesting pirate islands. Krakow is also famous for its historical zoo, first mentions of which appeared yet in the beginning of the 15th century. Nowadays, the zoo occupies an area of 20 hectares and is home for more than 1,500 animals. Krakow Zoo is recognized as one of the best zoos in the world as it participates in rare animals breeding and various ecological programs. Many inhabitants for the zoo are very friendly, so children are allowed to feed these animals. There are many predators in the zoo, and visitors can look at them from a safe distance. If order to entertain kids with something unusual, head to the waterfront near Most Grunwaldzki. There is a small berth that is used as a starting point for tourist ships. A river journey is a wonderful entertainment for young travelers. Some landmarks of Krakow look completely different from the waterside than during walking excursions.